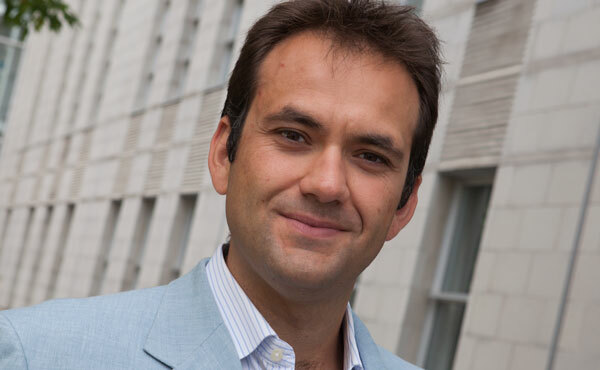 HEC Montréal received a $500,000 grant, renewable for 5 years, last Friday when one of its professors, Decio Coviello, was appointed the Canada Research Chair in Economics. The federal Minister of Science, Kirsty Duncan, made the announcement at an event to recognize 203 Canada Research Chair appointments at 48 postsecondary institutions across the country. The Canada Research Chairs Program helps attract and retain top researchers across the country. The Chair, with the financial support from the Canada Foundation for Innovation, the John R. Evans Leaders Fund, and the Québec government, will create the Public Goods Lab. The goal of the lab is to provide extensive data extraction from unique administrative records and a computationally intensive micro-econometrics analysis of big data. There are more than 30 research units, including 7 Canada Research Chairs, at HEC Montréal. Professor Coviello holds a Ph.D. from the European University Institute, Florence, has a post-doc at Harvard and has been with HEC Montréal since 2011. His research activities involve interactions and exchanges with policy makers in international organizations such as the European Commission, The World Bank and the Bank of Canada. These interactions include lectures on policy evaluation of judicial productivity and policy evaluation of procurement policies and investments. His research often involves the analysis of big data from unique administrative records and has resulted in a strong publication record including one in the American Economic Review, which is among the top five journals in economics, and nine publications in major international journals in economics. Additionally, his publications have received media coverage from The Harvard Business Review, MIT Sloan Review, Freakonomics (NYT’s blog), and Italian and Canadian daily newspapers. Professor Coviello is a principal or co-investigator for several research projects that are supported by federal and provincial research grants. In 2014, he was awarded a FRQSC Établissement de nouveaux professeurs-chercheurs research grant to quantify the impact of limited competition in public procurement auctions in Québec. From 2014 through 2017, he is a co-investigator in a SSHRC Insight Grant that has the objective of quantifying the costs of collusion in public procurement in Québec. From 2016 is a co-investigator of the research project sur l’Accès au droit et à la justice (ADAJ). Since, 2016 he has been a research fellow of the Center for Economic Performance of the London School of Economics and of the Centre international de criminologie comparée - Université de Montréal.